Hoops boss fears long Championship stay. QPR boss Harry Redknapp fears that the club will be mired in a struggle to get out of the Championship and may never return to the Premier League, according to the Daily Mirror. The West London club had their relegation to the second tier confirmed this weekend as they played out a goalless draw with fellow relegated side Reading this weekend and now the ex-Spurs gaffer fears that they won’t come back. The 66-year-old will meet with chairman Tony Fernandes this week to begin planning the club’s firesale of stars, most of whom were purchased in January for large sums. Both Christopher Samba and Loic Remy were brought in for big money and are on even bigger contracts, they will be expected to head the exodus with Liverpool said to be keen on bringing the French forward to Anfield whilst Samba’s former club, Anzhi Makhachkala are monitoring his situation. The futures of other big earners such as Jose Bosingwa, Park Ji-Sung, Julio Cesar and Esteban Granero are also thought to be high on the agenda. 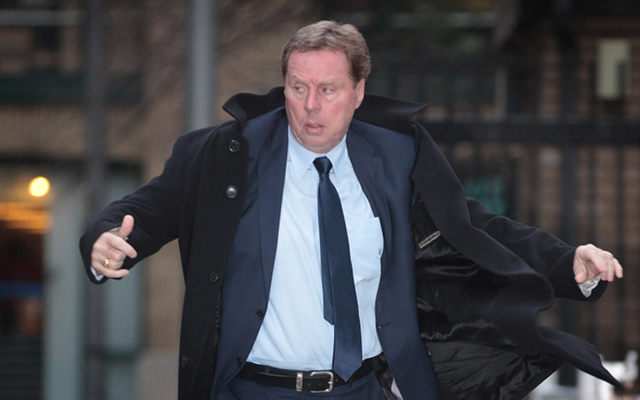 Redknapp was seen as QPR’s saviour when he replaced Mark Hughes last November but was left to rue the club’s poor form. “It’s Saturday-midweek every week, you need players who are going to be up for playing three times a week. Not people who play on a Saturday and feel tired all week and can just about raise a gallop the following Saturday.